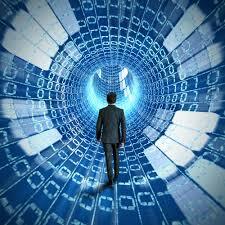 Predictive coding must evolve with the pace of the times. To keep up with new demands within e-learning will take collaboration between programmers and industry experts alike. This will especially be true for the courts within the public sector. There are accountability measures that keep justice efficient and cost-effective, even on a global scale. The ability for courts to complete proceedings is intricately tied to the amount of information available for use within the case. Business reports emphasize courts' roles in ensuring economic efficiency within business and government. Future specialist courts and social media litigation measures would put a large burden on document review resources. Improved predictive coding would require more detailed algorithms, without discounting the importance of heuristic review of seed documents. As of now, the average court will not require a legal party to use predictive coding. A larger use of e-discovery would ramp up work on predictive coding efforts. Predictive coding is a machine learning process. It is tempting to think of AI at the mention of machine of this, an in a way, e-discovery is built around similar principles. Predictive coding allows iteration over a document to find specified information. It is commonly used to sort through larger datasets to reduce manual review and screening needed for irrelevant documents. Although somewhat new as a concept, it is commonly used throughout the IOT. Predictive coding is used to filter spam messages in emails and put browser-history-specific advertising on pages. Predictive coding is primarily used for rapid location of relevant documents during a review phase. In expediting the review process, significant cost savings positively impact industries looking to reduce man power needed. Some experts are of the opinion that predictive coding adoption trends aren't impacting industries in a significant way for the practice to be worthwhile. There is also a potential economic advantage for increasing work in this area as man power is needed for evaluation of parameters used to sort through documents. It can potentially lessen the load of litigation teams needing to review documents, allowing them to focus on creating more appropriate legal counsel and defense. Predictive coding cannot search through specific file types. Media file types such as videos and graphics files cannot be interpreted through e-discovery. Algorithms are limited to text and searchable terms within a document. There are cases in which examination of graphics and video are imperative to successful litigation. These must currently be done by a legal professional. Opposing counsel may also ask to be involved in the methodology developed for use in scanning the seed documents. In this case, predictive coding is limited. There are few regulations or standards developed for e-discovery. A flawed or limited seed will decrease efficiency throughout the document. For smaller cases which do not require substantial document sorting, it may be worthwhile to keep manual reviewers as opposed to e-discovery. In searching through concepts, legal parties can locate conceptual, contextual, or specific words through algorithms. A "car" search might bring results including automobiles, trucks, etc. Contextual searches may isolate areas in which all forms of travel are isolated for further review. After algorithms are defined deposition can then define summaries based off of this data. E-discovery makes this process much more efficient for lawyers involved in large cases. Computers are able to expedite discovery, making e-discovery increasingly automated and objective in nature. As previously mentioned, accuracy of sorting will depend upon the parameters defined for the seed documents, or documents used for discovery. Legal cases of largess are especially dependent upon e-discovery due to the massive amounts of paperwork required in cases, and the iterative nature inherent in predictive coding ensures that all relevant documents can even be cross-reviewed for relevant data. Predictive coding is not a static art. In fact, there are companies aware of the changing scale of litigation needs. Emerging technologies in the field of e-discovery now allow predictive coding to quickly find relevant documents no matter the size or complexity of the case. Software Pure Discovery was developed to handle large cases such as the 2010 British Petroleum Oil spill, a case in which billions of documents needed review. This new technology lowered costs for processing documents, charging only 75$ per gigabyte vs. a standard $150 per gigabyte. The software, considered more intensive in its e-discovery process was also faster, compensating for the reduction in pricing. The products price, a $500 expenditure, was estimated to have saved the client $100,000 in review time. Additionally, national analysts approximate that discovery and review costs comprise 50 percent or more of legal costs. Many believe the future of e-discovery will mandate new and improving algorithms needed for review of social media documents, and use within specialty courts. It may even be used to create better language translation. Specialty courts would ideally reduce the need for varying algorithms. However, there are fears amongst predictive coding enthusiasts. The work of collecting, reviewing and using specific documents is paramount for a successful internal investigation. While predictive coding is accelerating what e-discovery is capable of by leaps and bounds, the task will continue to grow; more complicated and expensive volumes of data generated in the ordinary course of business will likely continue to rise. The need to tailor law and court system proceedings might co-evolve with more precise and automated predictive coding. Sustainable and reusable coding is always preferred within technology sectors and it will be interesting to see how industry professionals interact.